Lauren Oliver is an amazing writer and storyteller, and her novels are magnificent. I fell in love with her second book, Delirium, and now I am excited for its sequel, Pandemonium, which comes out this month. I'm making it this month's Monthly Commenter Contest prize, which means that you can be one of the first ones to get it! How to win: Every time you post a significant comment that contributes to the conversation, I give you an entry into the contest! The more you comment, the more you entries you get! Only comments on posts from February 2012 are eligible, so keep coming back for more posts and more chances to comment. For all of the details, click here. Click here to read more about Pandemonium! What do you think of Lauren Oliver's writing? Are you excited for the release? I'm pretty sure Pandy is my most anticipated book of 2012! I read Delirium last year after reading some great reviews, but definitely didn't expect to love it as much as I did. I'll for sure be buying this on its release day. I also liked Before I Fall a lot. The synopsis made it sound like it might be repetitive, but I didn't think it was at all. Really, though, everything Lauren Oliver writes is amazing. I recently read Delirium and was captivated by Lauren Oliver's writing. She took a unique plot and told it with validity and in such a manner that made it difficult to put down. I can't wait to read Pandemonium! Oh! I think I read the first book of this series. Thanks for the great giveaway! I am looking forward to Reading this book. I haven't yet read anything by this author, but from reading the reviews and comments, I am sure I would enjoy these books. Have to say that Delirium is one of my favorite reads of the past year. So looking forward to following the story in Pandemonium. Can't wait! Thanks for the giveaway. I have to admit that I have never read a book by Lauren Oliver before! I know, I know, but look at it this way, if I win I can finally read one of her books! I am currently reading Delirium (I'm around chapter 16 or 17) and the book has totally blown me away. I put off reading it for so long because usually when a book is that popular I end up hating it. I love her writing. I love her descriptions, and her dialogue sounds real. I haven't read any of Lauren's books yet but all the reviews have been so positive that I can't wait! It sounds from the posts here that Delirium had a very unusual plot that Lauren told very well. Guess I'll get that and get started on it. 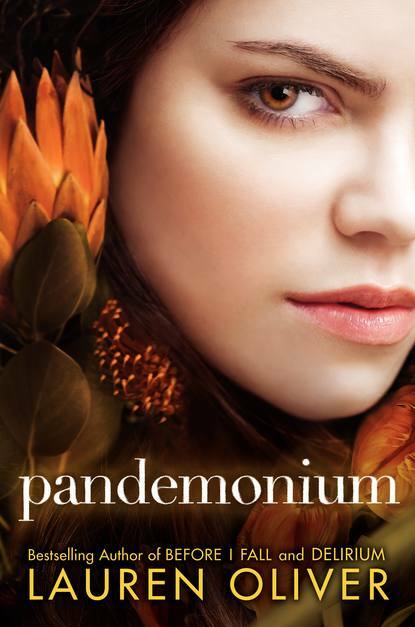 Thanks for the chance to win and read Pandemonium!